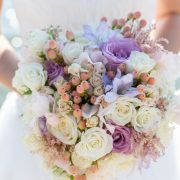 Fairfield, New Jersey/January 5th, 2017—CITYSIDE FLOWERS is pleased to announce that they have been selected as a 2017 ­­winner in The Knot Best of Weddings, an award representing the highest-rated wedding professionals as reviewed by real couples, their families and wedding guests on The Knot, the leading wedding brand and marketplace. Nick Valenti has dedicated his entire life to the floral industry. In addition to Cityside Flowers, Nick runs one of the largest wholesale florists in the Tri-State area. When you choose Cityside Flowers, you choose his 20 plus years of experience, contacts at farms all over the world, and tremendous cut flower inventory. He has also hand selected and trained his staff – many of them working with him for decades. Nick has been featured in the Wall Street Journal, the New York Post, as well as working with VH1’s Love and Hip Hop, supplying the flowers for several celebrity weddings. Cityside Flowers In Fairfield NJ is OPEN! 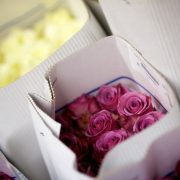 http://www.citysideflowers.com/wp-content/uploads/2016/05/Roses-ecuadorian.jpg 671 1008 Cityside http://www.citysideflowers.com/wp-content/uploads/2016/05/cityside-crop-300x74.png Cityside2016-05-30 05:41:032016-07-05 18:43:07Cityside Flowers In Fairfield NJ is OPEN!